Alumni Chapters keep you connected with your fellow Flames and allow you to stay involved with everything happening at Liberty University. If you don’t see a chapter near you, why not start one? To start a local chapter Facebook group, contact the Alumni Relations Office. Click on a city near you to be directed to the LU Alumni Chapter in your area! Alumni Chapters keep you connected with your fellow Flames and allow you to stay involved with everything happening at Liberty University. Our alumni are proud of their Liberty heritage, and in cities all across the nation they are making an impact and having a blast continuing the tradition of Champions. We are proud to have students and graduates who have served and are currently serving in the United States Military. 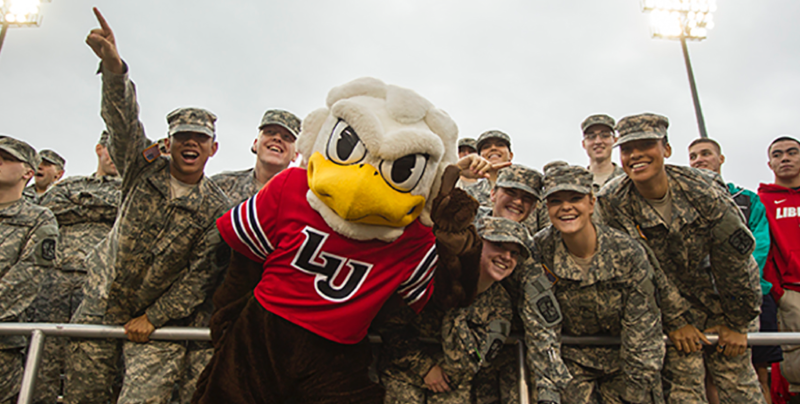 Stay connected with other service members and the university through Alumni Military Chapters.